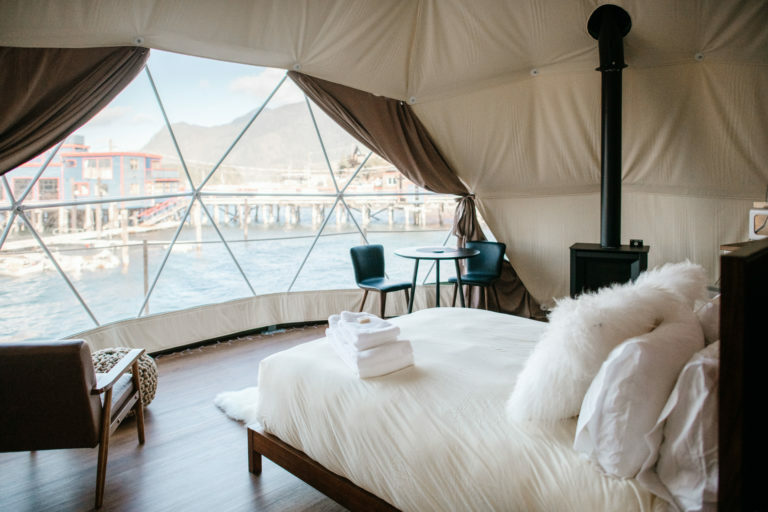 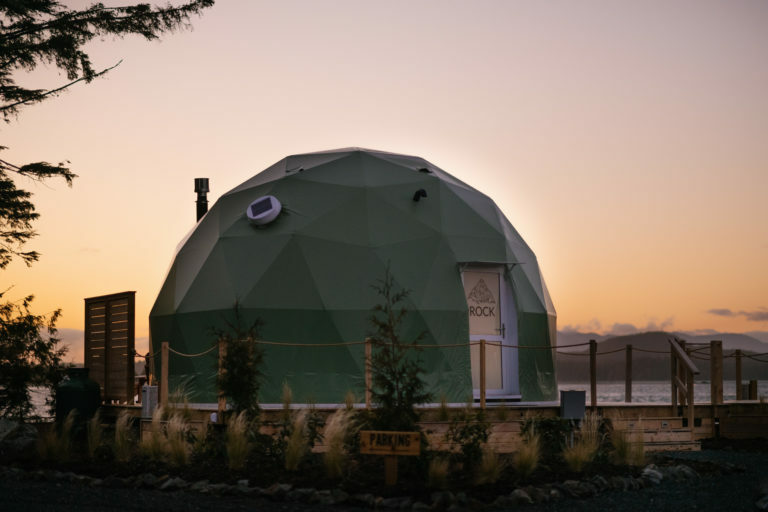 WILDPOD is a luxury glamping experience for adult couples consisting of six geodesic domes sitting on the edge of Tofino’s downtown core. 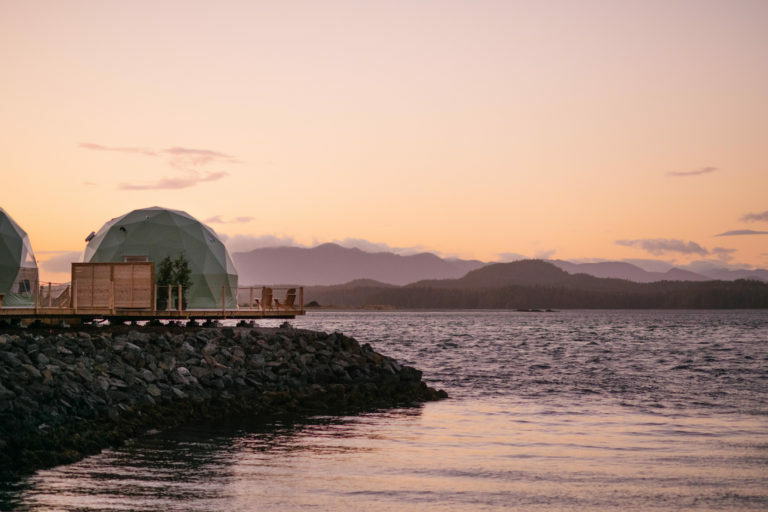 Each dome is beautifully decorated and situated directly on the waterfront featuring stunning views. 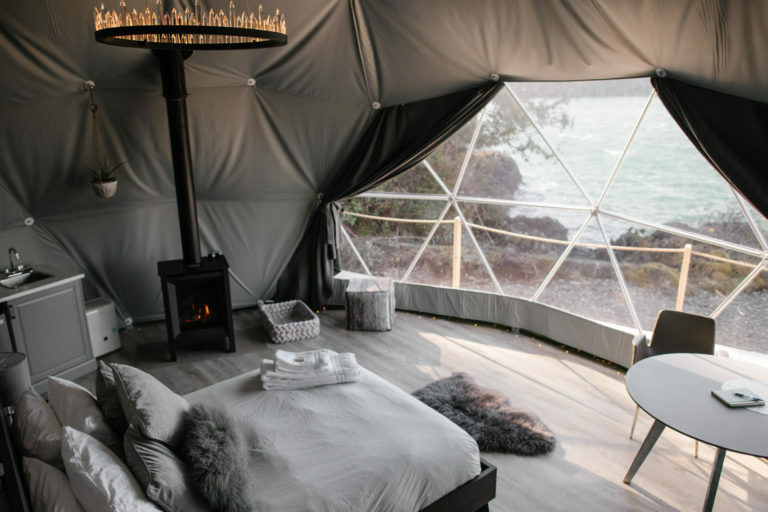 You would be hard pressed to find a better view anywhere.